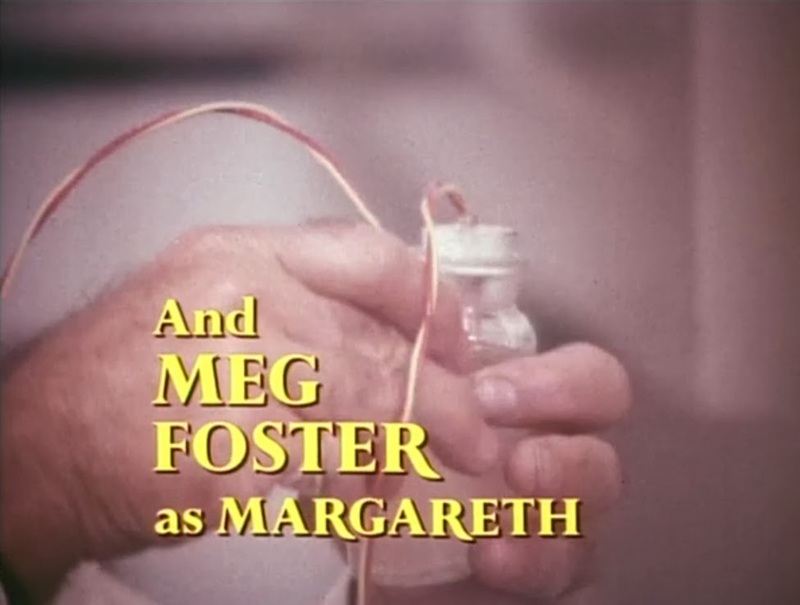 When looking over Meg Foster's long list of film and television credits, one will most likely see many familiar items. But how about those obscure titles? 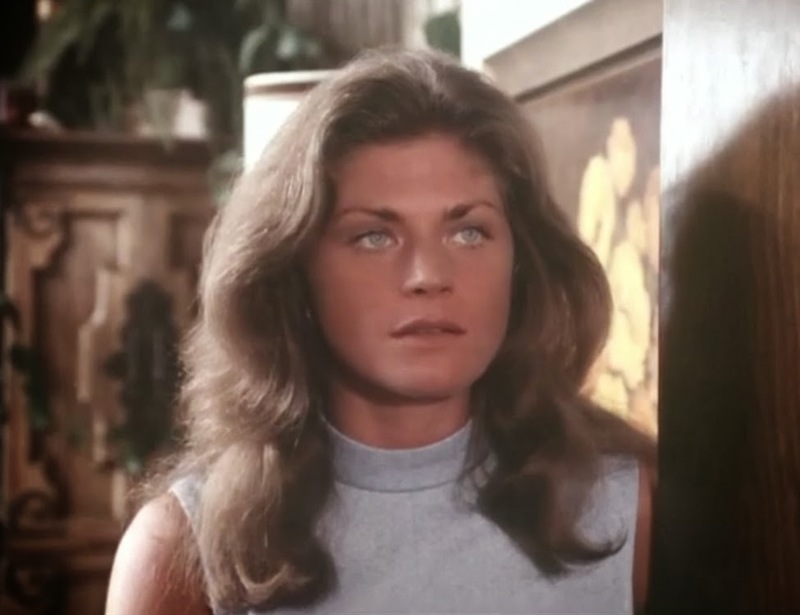 I'm always looking for opportunities to check out any Meg Foster performances from the 1970s I haven't yet seen...so I jumped when the chance came along to view her guest role on the 70s cop show Bronk. 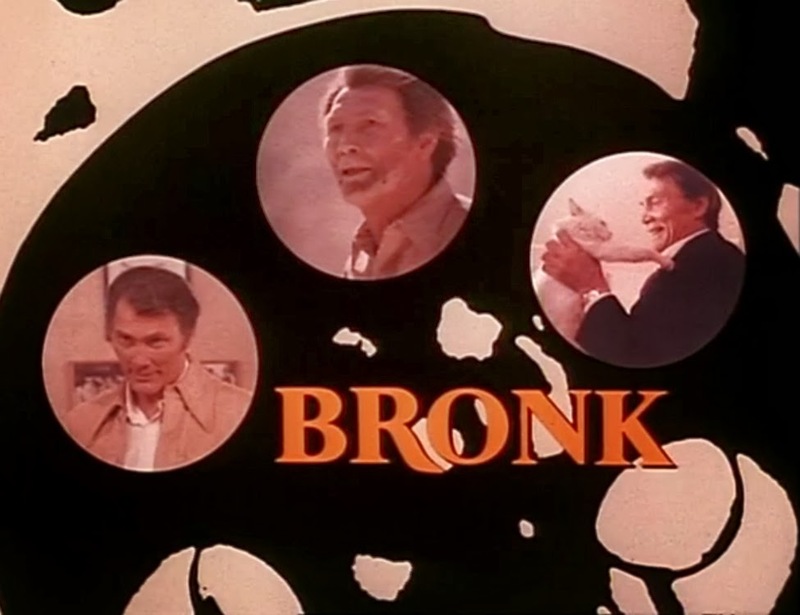 Bronk was TV detective series from 1975. 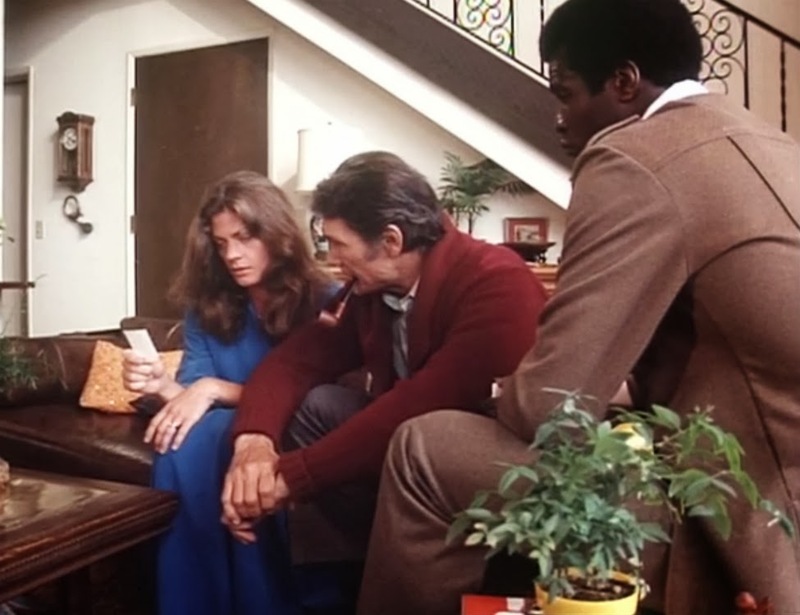 It starred the legendary Jack Palance as the title character and the show itself was created by another legend, Carroll O'Connor. Unfortunately, probably due in part to the glut of 70s cop shows, Bronk was cancelled after just one season. 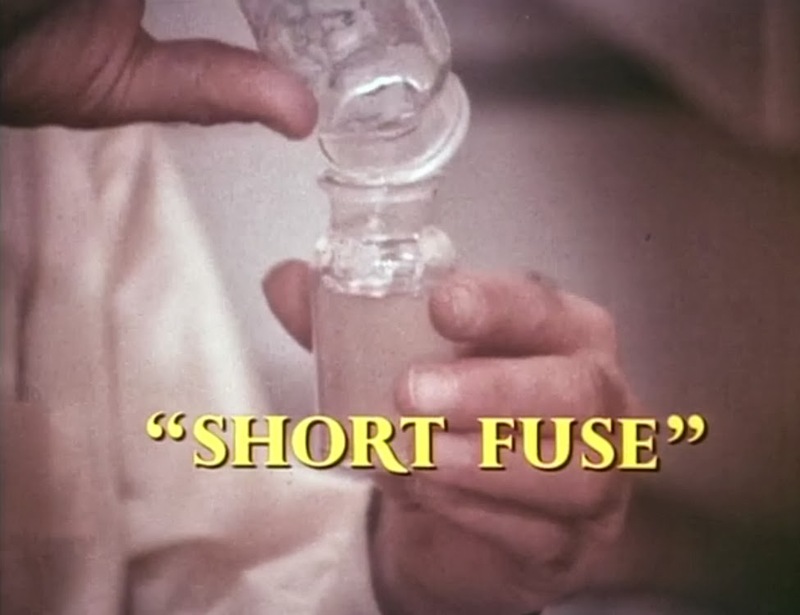 In the Bronk episode "Short Fuse," Meg Foster plays the wife of a man who is killed in an airplane explosion. She has a few key scenes in the episode including one where she really hams it up as she tearfully explains to Lieutenant Bronkov why her dead husband was paid 25,000 dollars to take a mysterious briefcase onto the plane. Meg Foster, perhaps at the absolute peak of her time as a perennial television guest star, is appropriately beautiful in her role on Bronk. She handles her role with great ease (she could do this type of thing in her sleep by this point) and helps to make this episode of Bronk a nice piece of fluffy entertainment. 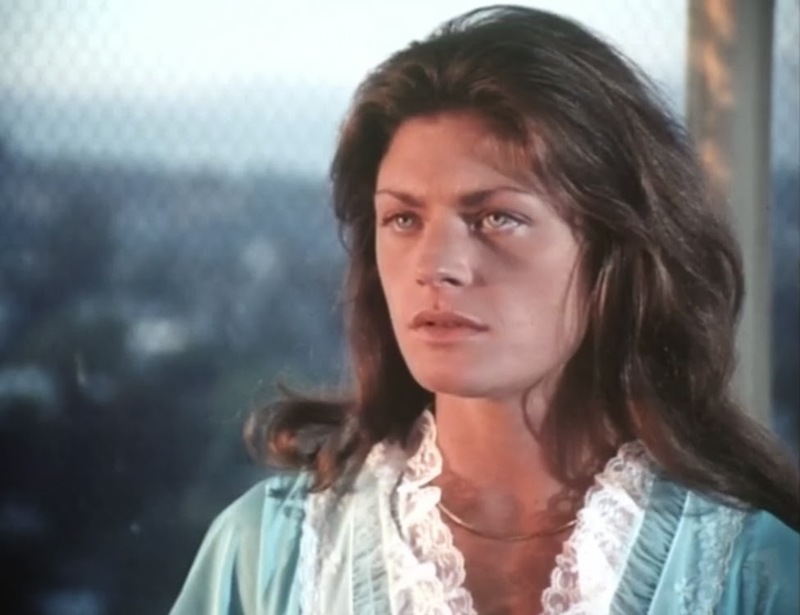 Of course, its really just another success in a long list of successes for the prolific actress, but it is sure fun to watch Meg Foster in her prime!